Today I paid a visit to a company and asked for the bloke I had an appointment with. The receptionist stated “oh he’s a roaster” which I thought was a bit disrespectful but decided that I’d make up my own opinion after our meeting. 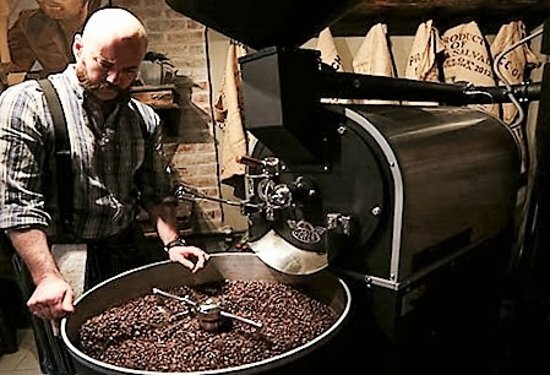 He roasts coffee beans for a living and told me the secret was to bag them within one hour of roasting them. He proved his point by proffering me a fresh latte. He was right; it was magnificent. This entry was posted in Uncategorized by Scott Wilson. Bookmark the permalink.